Sticking with mid-80s Rahul Dev Burman, here's one more containing a few decent if not entirely convincing tracks. 'Manzil Manzil' is quite varied; opener 'He Baba' is an energetic disco tune with some appeal, whereas the final 'O Meri Jaan' has a soft, soothing, almost dreamy sound. They might be the soundtrack's best know tracks. In-between we get a couple of cabaret (or cabaret-type) numbers. 'Mitwa' is OK but I prefer 'Yeh Naina Yaad Hai' for its odd droney quality and inclusion of a short harmonica bit nicked from Ennio Morricone's 'Man with a Harmonica' from 'Once Upon a Time in the West', hardly a bad thing. There are interesting details in the arrangements and instrumentation throughout (I also like the countrified ending to 'Lut Gaye Ham To Rahon Men'), but that's not enough to make a really great score. Anirudha Bhattacharjee and Balaji Vittal in their book 'R.D. Burman - The Man, The Myth' describes it as "more technique than feeling". I'll go along with that. anyway awesome Quality rip...God Bless u.. Nice! !Finally a decent rip for this album! !Thank you!! 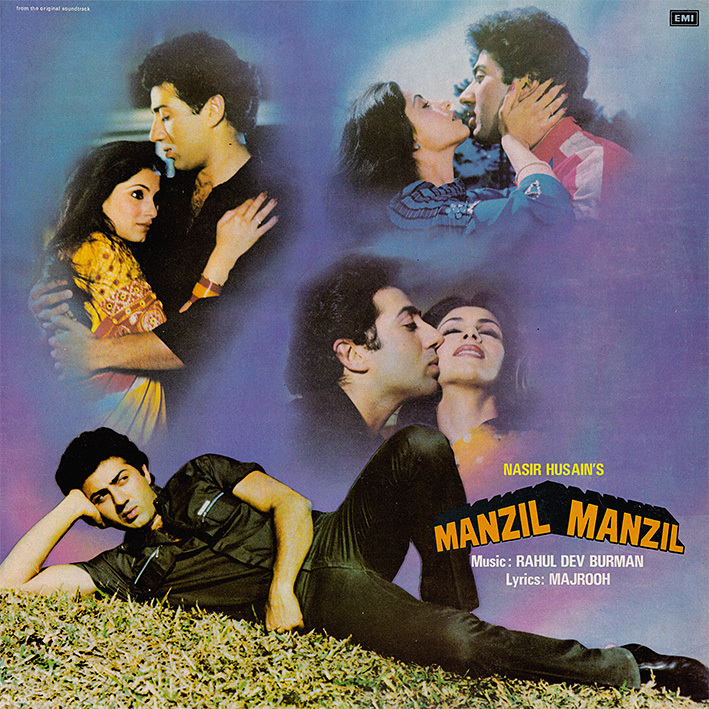 Can you please re upload Manzil Manzil (1984) I can't find download link. Thank you. Seriously? The link is where they always are, in the first comment.